NYC LASER is a series of lectures and presentations on art and science projects, organized on behalf of Leonardo/ISAST’s LEAF initiative (Leonardo Education and Art Forum). Former LEAF Chairs Ellen Levy and Patricia Olynyk co-organize these presentations, and Ellen Levy hosts them on behalf of the Institute for Doctoral Studies in the Visual Arts. There will be three feature presentations by Victoria N. Alexander, Lillian Ball, and Norman Ballard. Victoria N. Alexander is director and co-founder of Dactyl Foundation, whose mission is to “bring the arts into the sciences and the sciences into the arts.” She earned her Ph.D. in English at CUNY Grad and her dissertation research focused on teleology, evolutionary theory, and complexity science at the Santa Fe Institute. She is a novelist (Smoking Hopes, Naked Singularity, Trixie and Locus Amœnus) and is on the editorial boards of Biosemiotics journal (Springer Press) and Meaning Systems book series (Fordham UP). 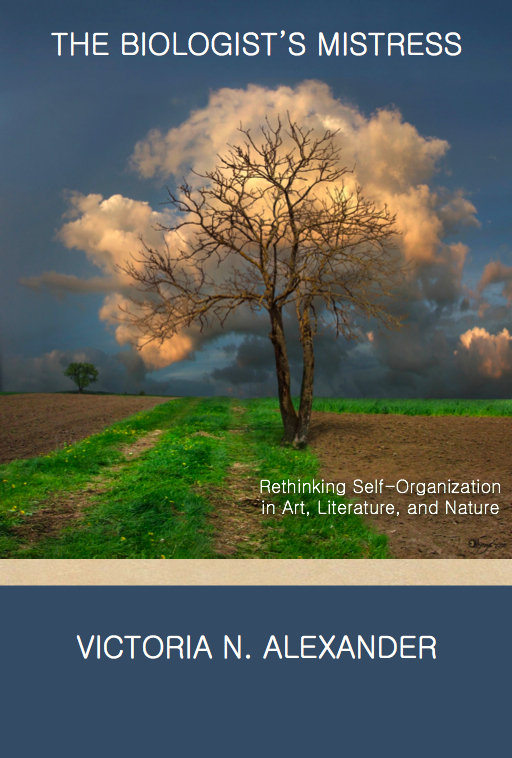 Alexander’s talk will address the creative process from a biosemiotic perspective and is based on her 2011 book The Biologist’s Mistress: Rethinking Self-Organization in Art, Literature and Nature. For conference registration information click here. Very positive review of Fine Lines today in Nature!